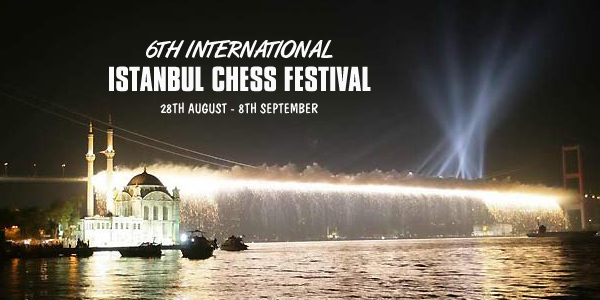 On behalf of Istanbul Metropolitan Municipality, i have the honour of to welcome you for 6th International Istanbul Chess Festival. In addition to our traditional chess festivals, we have taken part for the organisations of 8th World University Chess Championship in 2004, and World Junior Chess Championship in 2005. I believe in that Istanbul Metropolitan Municipality will go on to contribute chess in our city. As you know these 2 world championships were one of the most crowded editions of their categories. When we check our past 5 chess festival, i am glad to see the big attention of chess community into this organisation. I hope that this attention will continue for our further events and also this year we will get a great atmosphere in our organisation with your participations. I would like to express my considerations for all Chess Community and to indicate that it will be my honour to invite you for involving into our organisation. Hope to see you in Istanbul. Let's Meet Where the Continents Meet.